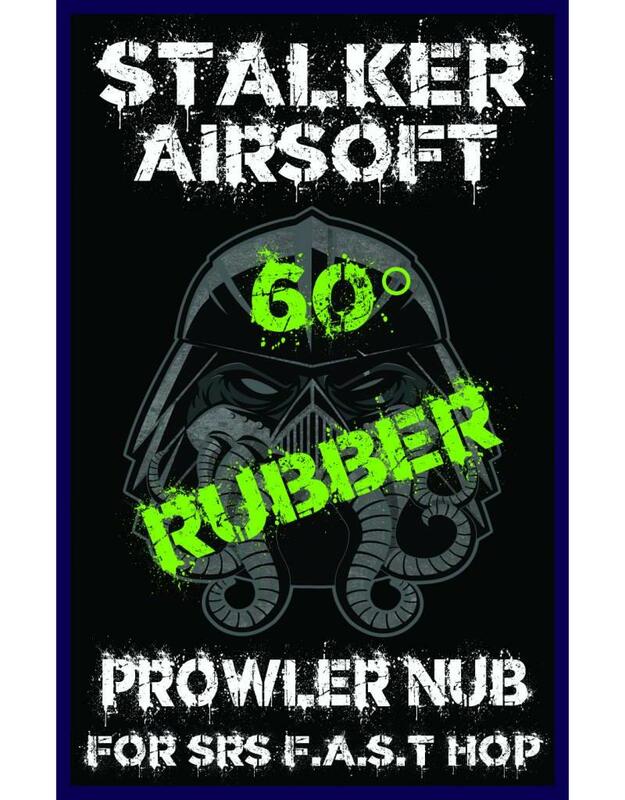 The SRS Prowler Rubber Nub 60° is designed for larger barrel windows and works best with larger contact bucking patches. 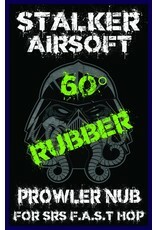 The Prowler Nub is the second smallest nub in the familiy and increases range and accuracy of your SRS Airsoft Sniper. The Well Designed concave shapes of the nub delivers steady straight shots which results in a accuracy boost. The longest contact patch possible in combination with most upgrade buckings and barrels brings you some of the best boost in range. *This Nub Might work in some Rhop setups with larger barrel windows. Many hours and changes have been made to design this Stalker SRS Prowler Concave Nub.